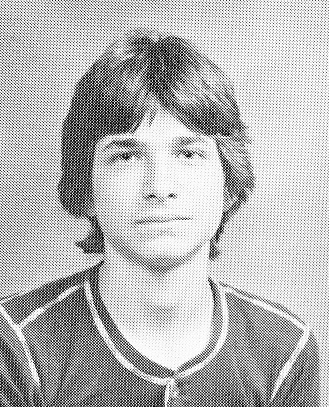 school days with steve albini. part one. Back in January of 2007, almost two years before I did it, I was planning to start a blog. 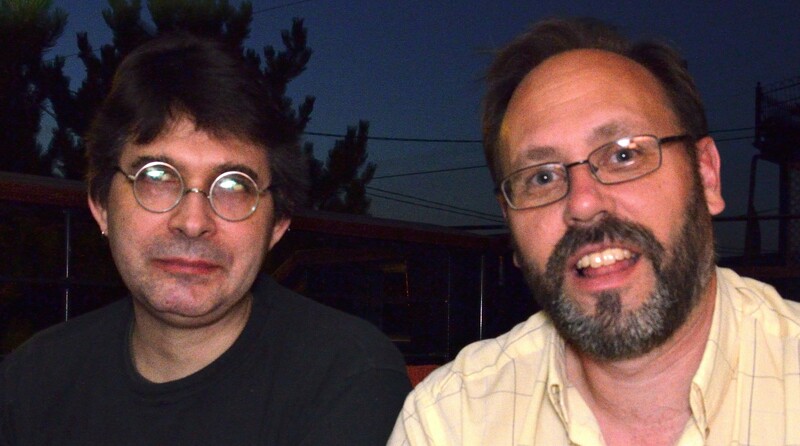 I wrote a few things, and one of them I thought I would make my first post was entitled, “Thank Steve Albini for This Blog,” a stupid title on multiple levels. What I wrote there was a few things for which I was grateful to Steve having taught me by word and deed. 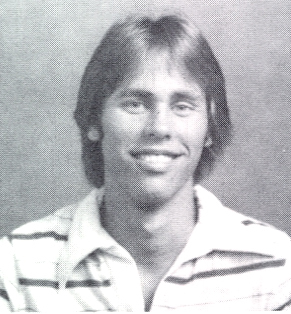 I went to high school with Steve, and he was the most interesting and certainly one of the most talented people to walk the halls of Hellgate High School. In fact, Steve is one of the mo st interesting people I’ve ever known, and that would be true even if he’d been washing windows for the last thirty years. I saw him on a visit to Chicago in 1983, and I did not see or talk to him again until a friend reunion in August of this year. “That’s what I’m going to tell you.” I explained to him that there were four things I had learned, mostly by his example, that they had stayed with me, and he was the person I had to thank for them. Maybe you should try something new for a change. Motorcycles = broken body parts. Do it yourself, why don’t you. Share your talent and encourage others. I was glad to be telling this to Steve. Many people help us to grow and change in various ways, and being able to thank someone for it, even when they seem like small things, I think is worthwhile. For his part, Steve Aged 50 was a little surprised I had some nice things to say about Steve Aged 17. Why is that? Well, remember that bit about Steve being the most interesting person, the most talented person? He was also the most hated person. This was not an accident. In my freshman year, before I met him, I avidly read his columns in the Lance. He wrote music reviews and other articles, but my favorite was his humor column. He also did cartoons and illustrations. He did it a lot. In fact, he made me want to write for the paper. For that, I would have to take Journalism 1 my sophomore year, then I could be on staff my junior and senior years. In his writing Steve was funny, outrageous, and knew how to antagonize people. He also talked about stuff that was not mainstream in Missoula, Montana in 1978. Like punk rock. Steve could make people mad, and did make people mad, but why did he make people mad? I couldn’t say it was his aim to do it. It was probably closer to the truth that he aimed to say what he pleased, and if that angered his readers, tough. And when it came to saying what he pleased, he was like no other person I had met. Wicked smart and verbally well-armed, he could perforate people or things he didn’t like with his words. But of course, that is one of the few defenses available to scrawny kids who act and draw and write and make music in a setting dominated by conformity to a teenstream culture that didn’t always value someone like Steve. #1: Maybe you should try something new for a change. Not caring what other people think was required of someone in a fierce struggle to find and be themselves as a teenager who does not and will not fit in. Pushing back on the pressures we were under to not be ourselves – or at least insisting on being able to explore the possibilities – took some resolve, and sometimes there was anger or resentment lying beneath the surface. That may have been some of the appeal of punk rock: the ragged edge of anger over the pressure that bore down on young people: you can’t do this, you must do that, and stop complaining because there’s nothing you can do about it. Instead of the Boomers’ demand for a better world, many had the Gen-X resentment at the empty promise of one. Might as well blow off a little steam about it. Another angle is looking around, like many teenagers, and finding plenty to be disgusted, dismayed and angry at. There was some of that for me. Maybe for Steve, too. I think it’s in his songs. Of course nothing like this occurred to me at the time. On the contrary, I had been sleep-walking most of my life. And I was much more of a boomer in my general outlook – more hippie than punk – so I found Steve’s recommendation of punk rock hard to grasp. After I met him in the fall of 1979, I would rib him about it, as if he should be embarrassed to embrace and promote music – and the attitude that went with it – that was so far out of the mainstream, that people (like me) were so unlikely to accept. Steve was annoyed but put up with my pestering. On the one hand, he managed to make me feel like a dork for having such narrow taste in music: I had grown up listening to the Beatles, Elton John and whoever else was played on MOR radio, and didn’t know about much else. I had read about punk rock, but I had never heard it – until I met Steve and the other friends I made on the Lance. On the other hand, Steve did not just make me feel stupid, he made suggestions to me about music he thought I should listen to. My response was skeptical and dismissive at first. That changed after I had ignored his positive review of Tom Petty’s Damn the Torpedoes, and subsequently heard it. After that, I realized I should reconsider blowing off Steve’s musical opinions. The fact that he put down music I liked (On CSN&Y: “They’re fat and old,” which I later realized he probably got from a line in Remote Control by The Clash. ), didn’t mean he couldn’t point me to something great, which is exactly what Torpedoes was: freakin’ great. 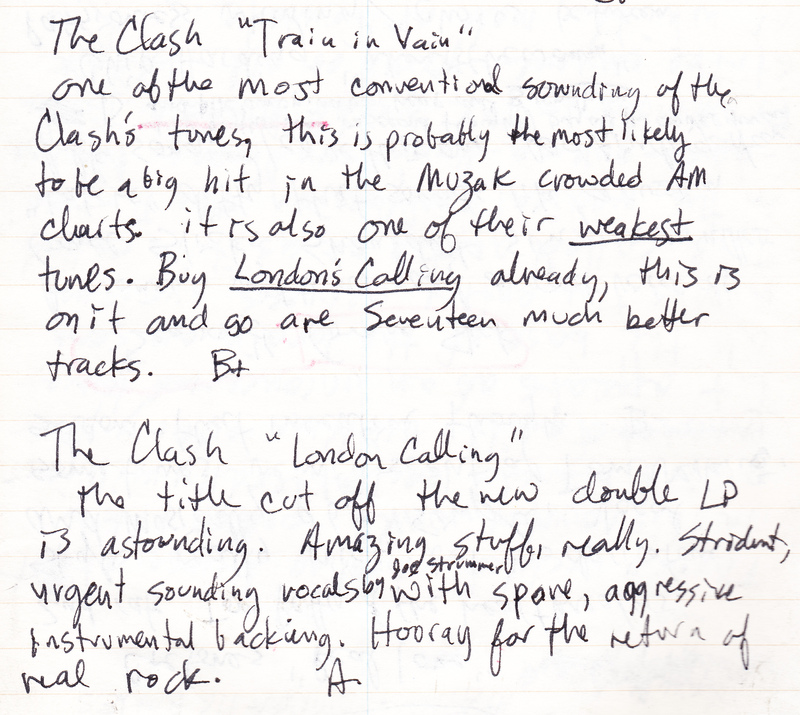 In December or January, Steve included in his song reviews two songs from The Clash’s London Calling. Around the Lance office he was talking up the album. I was skeptical until I heard the title track on a surprisingly eclectic AOR station. I remember today the very time and place that song came booming and screeching through the speakers in our living room. 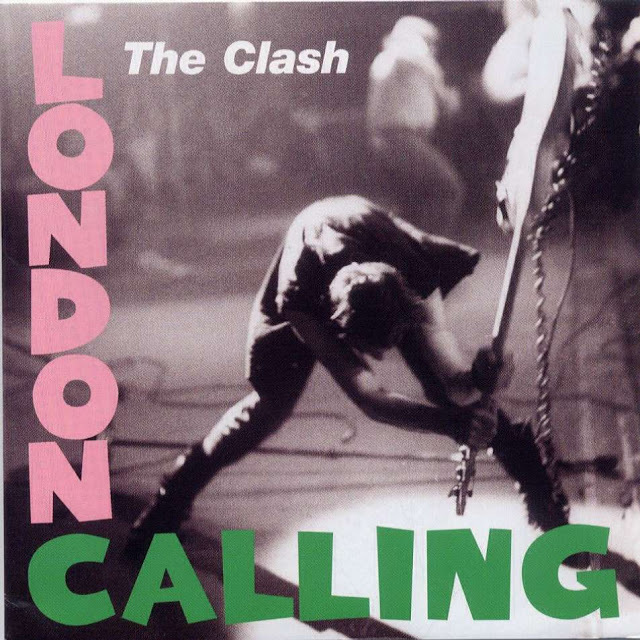 The Clash interrupted my regular programming with a report of nuclear apocalypse, of the world ending with a whimper – a variation on the scenario that had visited me in nightmares since I was ten. It blew my mind. Then I heard it again. Then Troy Deckert, the editor of the Lance, got the album, and I heard the whole thing. That changed everything. After that, I wanted to hear new things, and what a time for hearing new things that was! The Ramones, Elvis Costello, Warren Zevon, The Pretenders, The Talking Heads, The Police – all putting out music that spun my head. Much of the real excitement I felt at this time in my life was the discovery of new and old music that I never would have heard if it wasn’t for Steve, and later my other friends (Troy, Jeff Morgan, Matt Crowley, Mark Hayes), who stuck it in front of me. How the combination of new friends, new music and drugs altered my path is more than I’ll go into here, and it wasn’t all helpful, but having my mind and ears and eyes opened to a wider world of music and ideas was a gift. It was Steve who first put his shoulder to the door and gave a good shove. part two. part three. part four. This past summer, I had one of the very happiest experiences of my adult life. It confirmed once again that – for myself – along with love and discovery, one of the paramount joys of living is reunion — meeting friends and loved ones after being separated by time and space. In August, more than twenty people gathered in Missoula, MT, who were friends at Hellgate High School between 1978 and 1982. One person came who went to Sentinel High. Most but not all of us had worked on the staff of the school newspaper, the Lance. We came from Portland, Seattle, Tucson, Oakland, DC, New York, Juneau and Saudi Arabia. Many of us had not seen each other in over thirty years. We honored our journalism teacher and Lance advisor, Wayne Seitz, who recently retired. For many of us he was the best, or certainly one of very best teachers we had. We strolled the streets of Missoula, visited some old hang-outs, and recalled some that are now gone or changed. I remembered skim-boarding the Clark Fork, hiking up Mt. Sentinel to the M, playing pinball and Space Defenders in the University Commons, parties until 2 am, all-night Risk games, putting the Lance “to bed,” walking and driving the eerie, ash-covered town on the night of May 18, 1980, cycling up Pattee Canyon, cresting Strawberry Ridge and looking down on Missoula with its Dome of Smog created by temperature inversion; standing in the warm summer rain, knowing the sun would be out to dry us in a few minutes. I was struck by how deeply affected I was by living less than three of my 49 years here. I reflected how fortunate I had been, recalling my friends, a few now gone from this world, the cast of characters we saw every day at school, the truly wonderful teachers I had (and a few awful ones), and the best and the worst of being a teenager in what I still regard as a pretty awesome town. We walked the halls of Hellgate, which were remarkably unchanged. A friend and I got the custodian (also a classmate) to let us into the room that was the Lance office back in the day, and into the old journalism class room. A few of us went to the Western Montana State fair, and found it just about exactly as it was in the late 70s. We did a lot of reminiscing, and told a few secrets. I was fascinated to see how we had changed, and how we were the same. Most delightful of all was the proof that no matter how much we may change and grow, our personalities are essentially the same. This reunion came after doing a lot of blogging, yet to be published, about my teen years. I wondered if I would look back on them differently after seeing the people I spent them with. I think so, but I’m not yet sure how. But seeing them and hearing their voices does make the old times seem fresher in my mind. I don’t want to leave the impression that I am one of those who consider high school the high point of my life and it’s all been down hill since. That was not in the least true of me, nor do I think it could be said of my friends. It was pretty rough going for a lot of us, and some have few fond memories. But as always, it’s the friends you remember, and who matter. When I was 16, and I was getting ready to go to a party with my friends, I would get rather excited about it. There was hardly a thing in the world I looked forward to more than spending an evening with these people. And for a few days last summer, I felt the same way. It foretells to me of a day when I am reunited with those I have lost to death: the ultimate reunion. It’s a little taste of the joy to come. I could hardly contain the joy I felt at seeing and talking to these old friends, some of them very dear to me. In four days I drove the majority of 1200 miles, only slept about 17 hours, yet felt like Iron Man. I probably seemed a little giddy, but not as much as I felt. What a gift it was to have them come together. Thank you, friends.